M3AAWG 45 Attendees: You’re invited! Hey, attendees of 45th M3AAWG General Meeting! 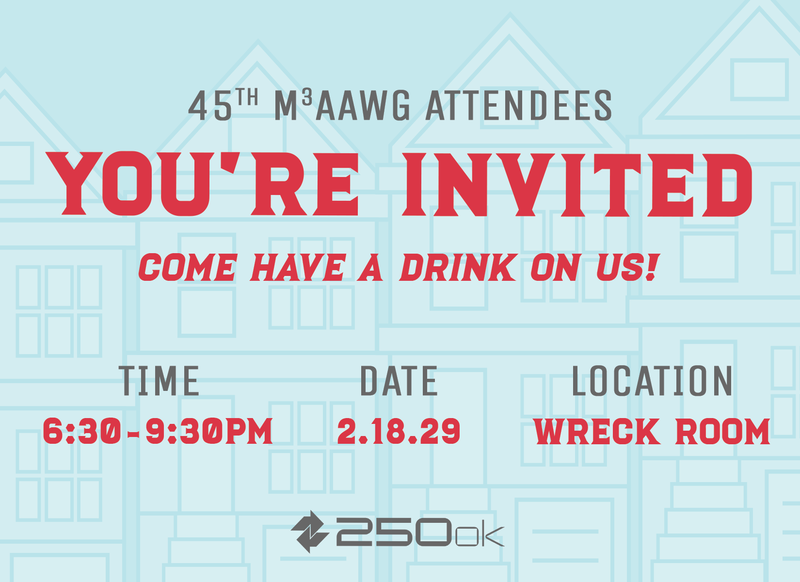 Join 250ok for a delightful evening of conversation and beverages! For attendees of M3AAWG 45 ONLY. No RSVP required. A taco bar available, first come first serve. Two tacos for $5 and quesadillas for $5, cash only.